Asian food often goes awry in California, I noticed. The early dinner turned out to be fantastic idea as the restaurant started building a nice queue of families, dates and meetings. Castro Street in the summer can get chilly at night, a very schizophrenic weather at that one too. Blue Line Pizza is not your usual Neapolitan pizza. Their Deep Dish Pizza spells trouble for those shedding on pounds. Spicy homemade meatballs, spinach, mushroom and red bell peppers stuffed in that crunchy crust create an orchestra of flavors. At first slice, the mozzarella cheese beckons you nicely. The pizza is one perfect contrast, the crust already drenched in tomato plus the meaty dimension of the meatballs. Dollops of ricotta cheese decorate the centerpiece, making cheese lovers cry for their mommies anytime of the day. I call it a nice cap for a wonderful I/O season. Layer after layer of goodness. Gotta finish this entire pizza! Oh and meet my best friend, Blue Moon. Cheers to that. 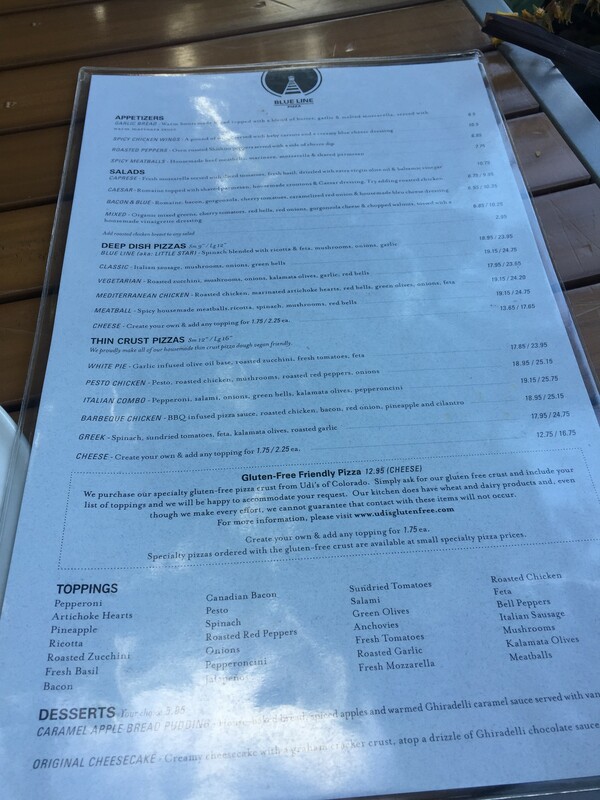 Blue Line Pizza is one of the few restaurants at Candid Cuisine rated at 5/5.